Less wrinkles & clutter. More organized! Just FLIP, FLIP, FLIP and FOLD. It's that simple! Folding laundry will take less time, and you'll get perfectly folded laundry every time! FlipFold is the ultimate shirt & laundry folder. Made in the USA! Our clothes folder works on any type of shirt including long sleeve, short sleeve, tank tops, button down and collared shirts. Use FlipFold for folding your pants, jeans, shorts, skirts-even towels and sheets! It's so easy that you can teach your three year old child to use FlipFold! And FlipFold has even been husband tested! FlipFold- The Ultimate Folding Tool will help organize your clutter. Redo your messy closets and overstuffed drawers into the organized fashion you've always wanted. If you have a retail store and are looking for ways to keep your store neat without devoting hours to folding, FlipFold is exactly what you've been searching for. Any employee can use this lightweight and versatile folding tool and they'll have more time to focus on servicing your customers! It's the perfect t-shirt folding device. Simple and easy to use. I saw this item in use while on a trip in Disney World. Immediately purchased online. Shipping was fast and directions were easy to follow. I would highly recommend this product. Purchased for wife. I wanted the genuine article not a Chinese knockoff. Buy American. Very nice construction. Does exactly what it claims to do. No problems. Would recommend to anyone looking for this type of product. Fast and easy to use. Perfect folded t-shirts every time. I love it. 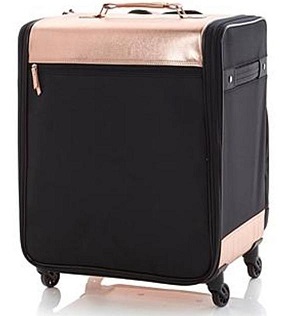 I absolutely love this product I now enjoy folding my clothes plus since they fold so nice and compact I have more drawer space. I will never go without a flip and fold again. Be sure to check out the complete line of FlipFold and Debbee products including: FlipFold Junior, Flip 'N Dazzle jewelry organizer, Makeup organizer, each designed with you in mind, to get you organized the easy way. 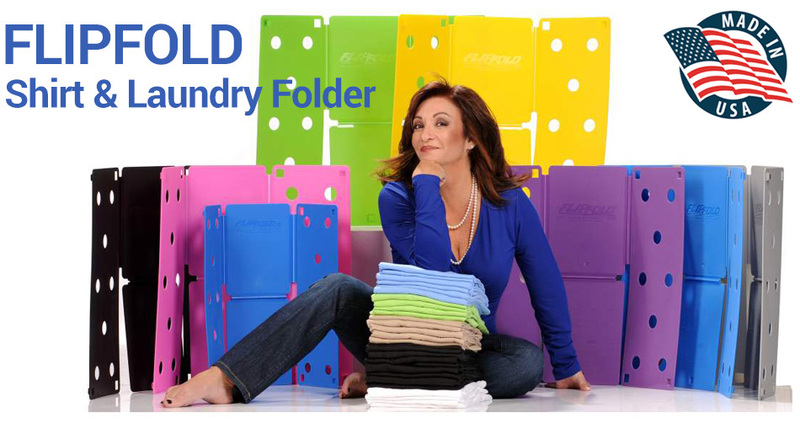 FlipFold Shirt Folder & Laundry Folder - Organize your closet & drawers. The FlipFold Shirt Folder will maximize storage space. Fold a shirt in less than 5 seconds. The FlipFold Shirt Folder will even fold all sizes of shirts, pants, towels & sweaters. With the FlipFold Junior even your children will love folding laundry!